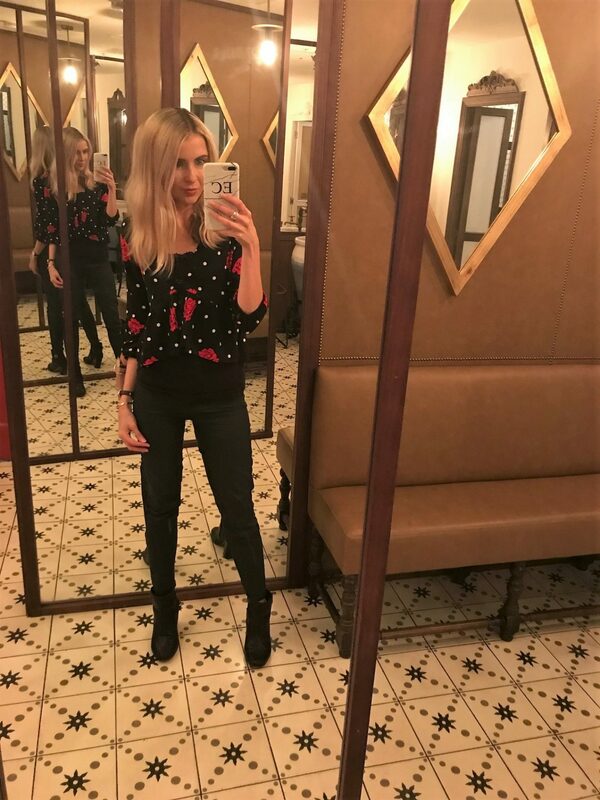 Love Tapas? 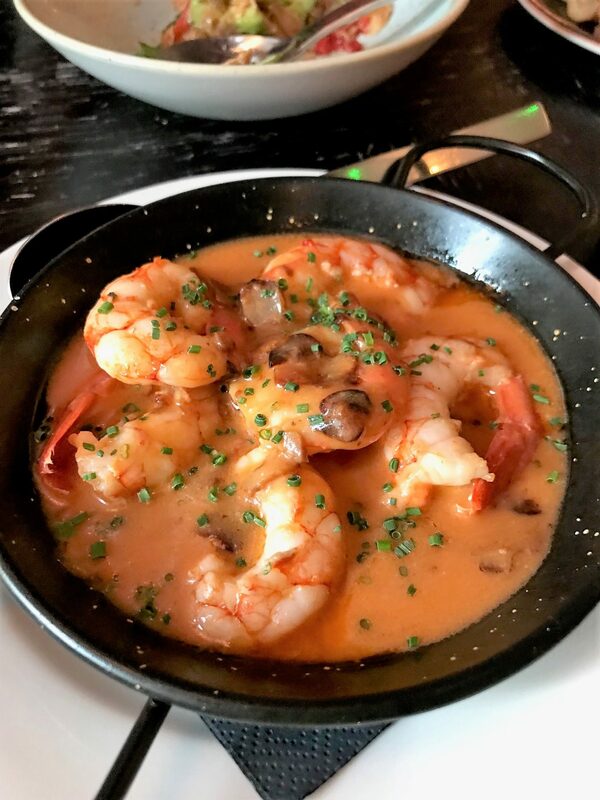 Love Spanish cuisine? 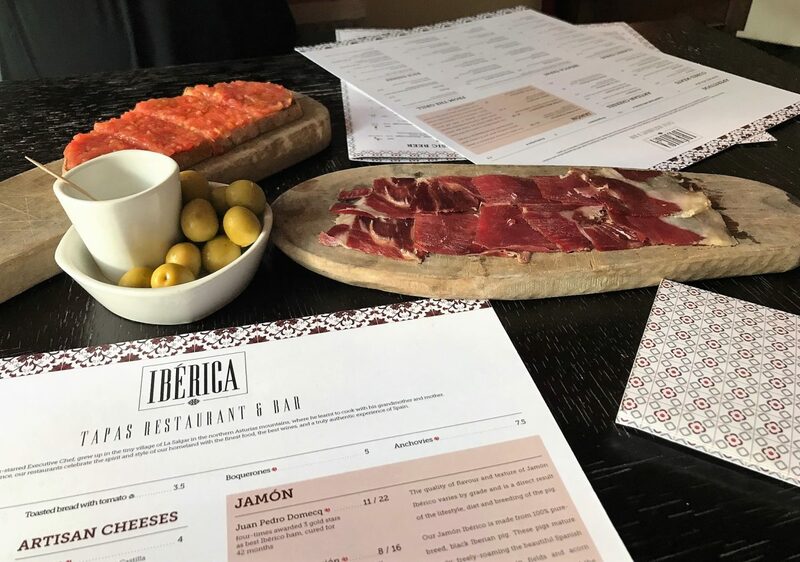 Then I hope you’re open to trying out dining at Iberica, because it’s literally just become one of my new favourite places to eat in Manchester. 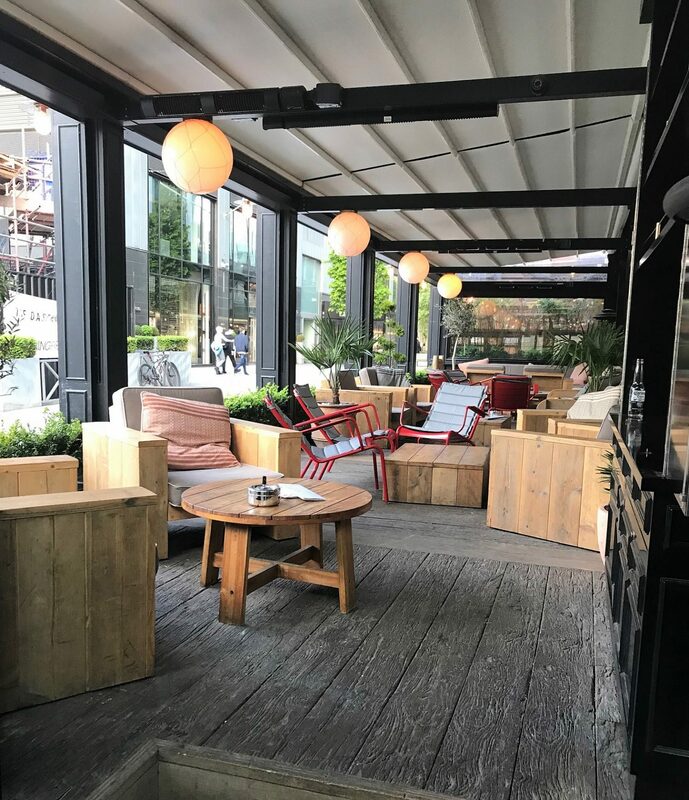 First of all, I want to put it out there that the interior at the Spinningfields, Manchester restaurant is super gorgeous. It’s fresh, modern and has that traditional Spanish interior twist to it. Wooden blinds, white pottery, lots of light coming in from the large scale windows, and that clean wooden touch running throughout. Speaking of wine, we let our very polite and attentive waitress give us a white wine recommendation. 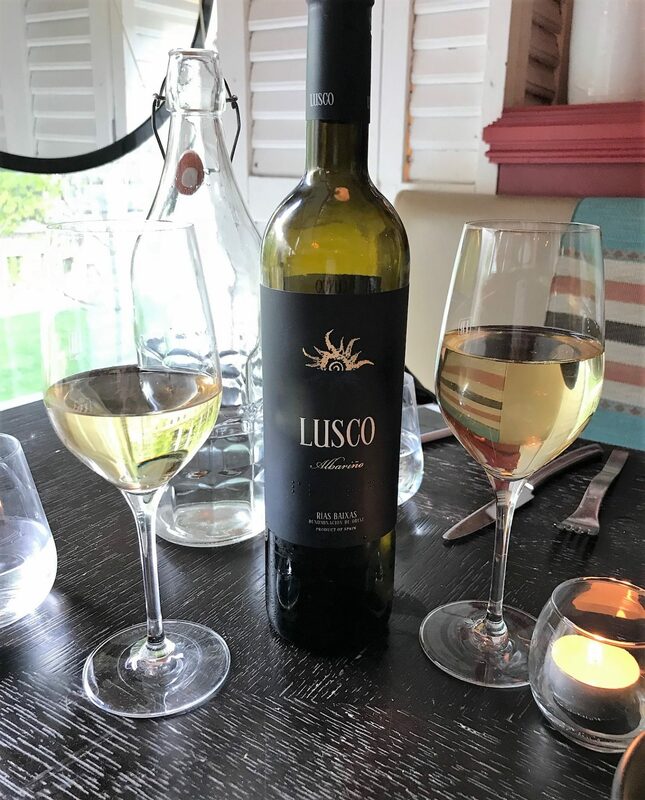 It was a refreshing white wine called Lusco Albarino, a zingy white with the taste of powerful herbs, tropical fruits and citrus aromas. It was beauuuutiful. 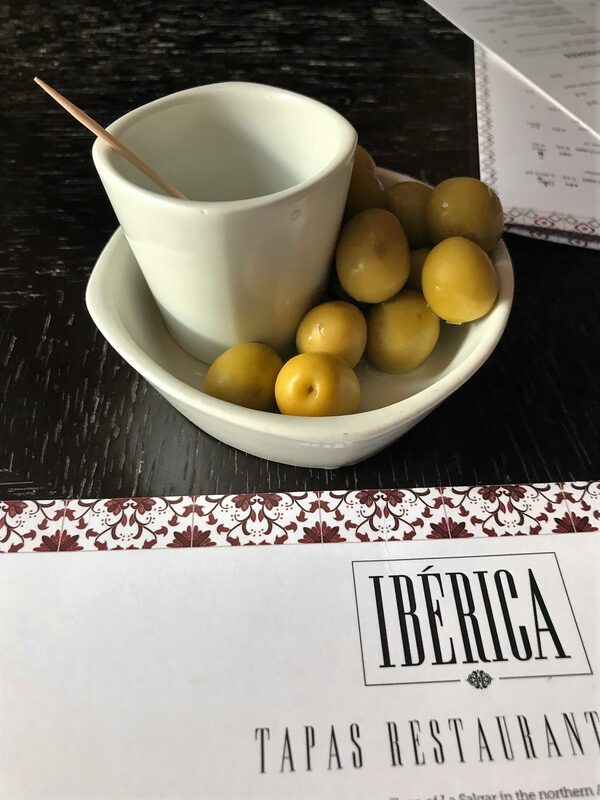 However, I was intrigued to explore the new menu and see what tapas dishes they had to offer, and was looking forward to seeing an array of traditional classics (you all know it – who doesn’t go for a Spanish Tapas and not order Patatas Bravas?) and also the more unique dishes. 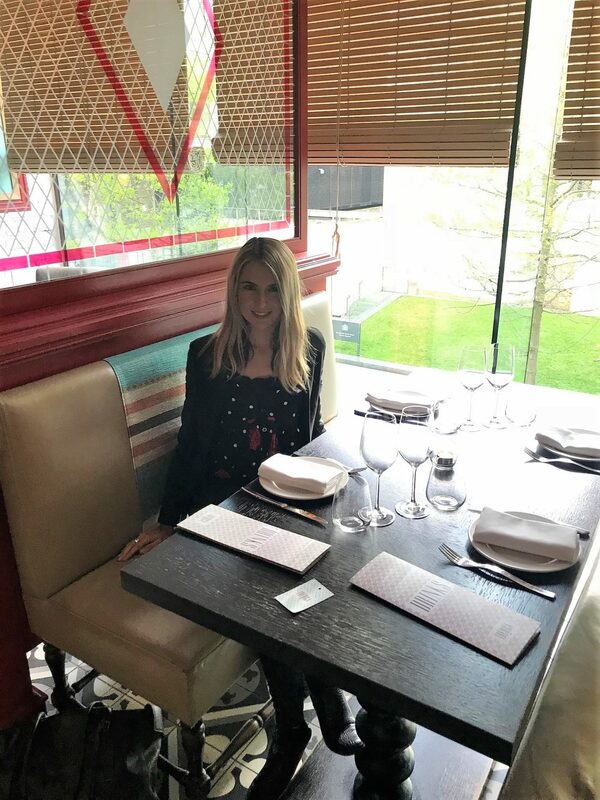 Before I start to share the menu and the dishes we tucked into – just take a minute to admire how stunning these glass surrounded toilets are at Iberica. 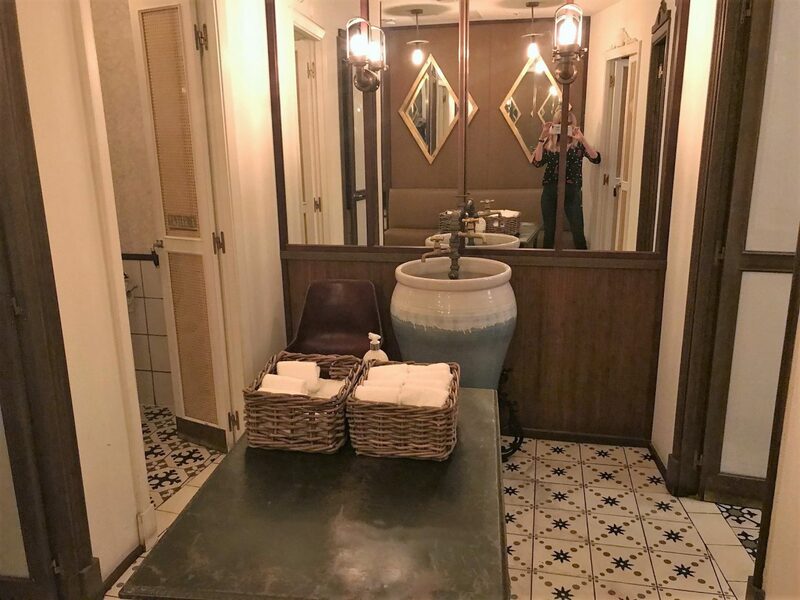 Floor to ceiling mirrors encase the ladies bathrooms, giving the illusion of a large Spanish inspired space. We kicked off our tapas evening with what I can only describe as the most flavoursome ham I’ve possibly ever tried, the Juan Pedro Domecq. 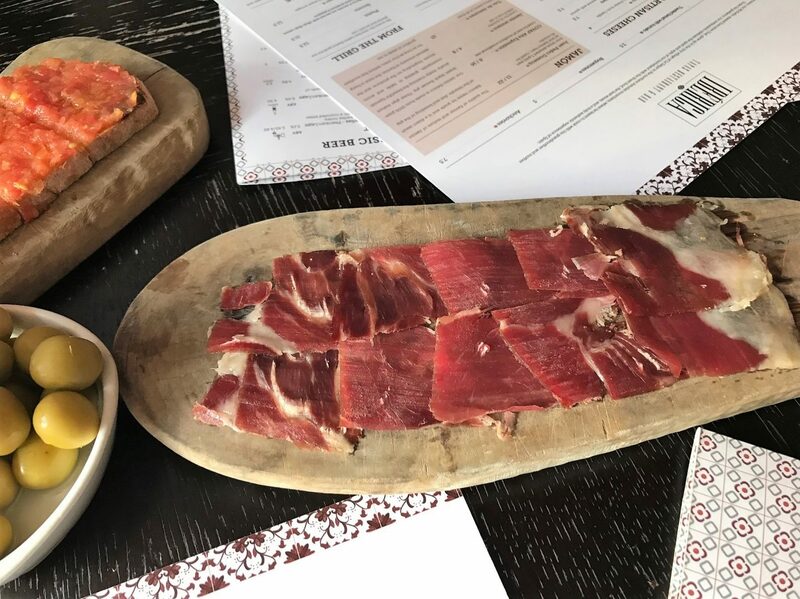 Our lovely waitress explained how it is been four-times awarded 3 gold stars as best Ibérico ham, cured for 42 months, and boy was it delicious. 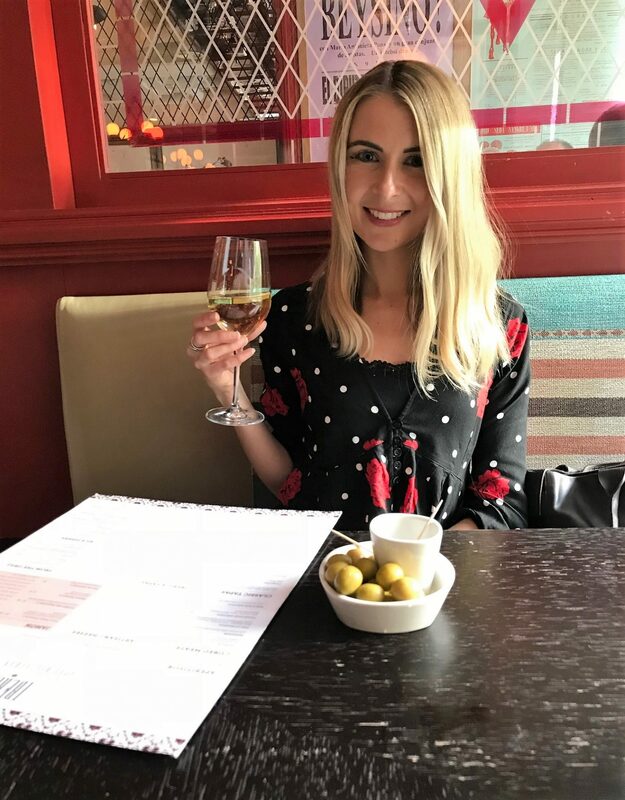 Paired with a bowl of olives and oil, and a warm, soft toasted bread with juicy tomatoes, we sipped our wine and enjoyed our nibbles to start. 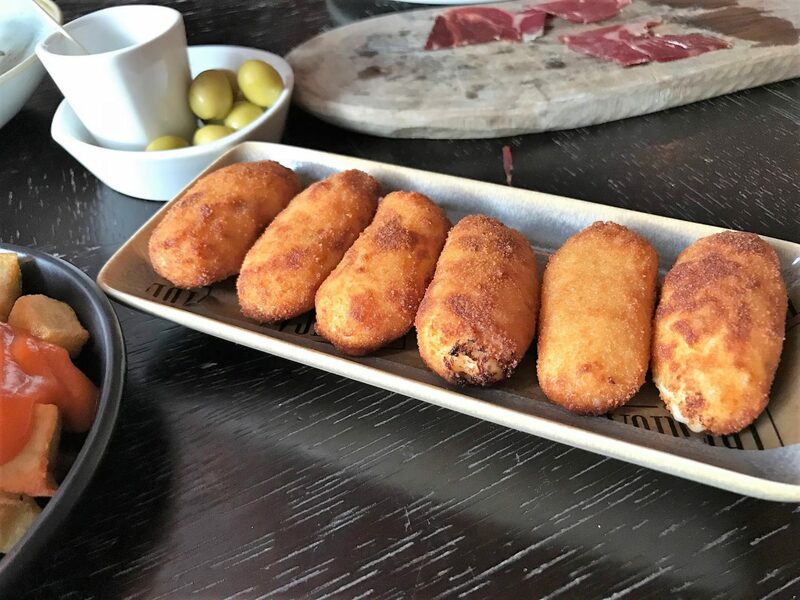 First up came what I would say was one of the best tasting tapas dishes on the menu – the Croquetas from the Classic menu. 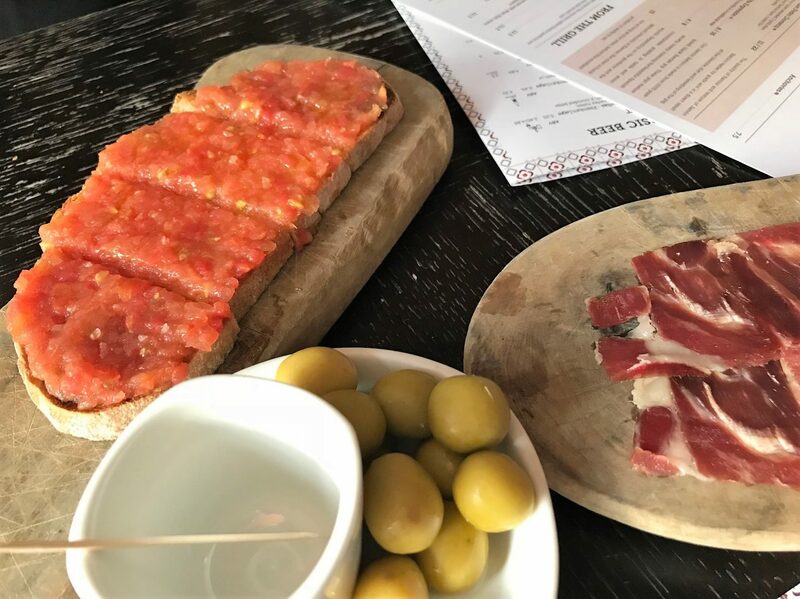 Stuffed with Serrano ham and cheeses, these are one of Iberica’s signature tapas dishes, and I could literally a whole plate of them as a main dish. They come encased in a crumbly, soft breadcrumb and are so tasty. And then we have the hero dish – what I’d been waiting to eat all day! 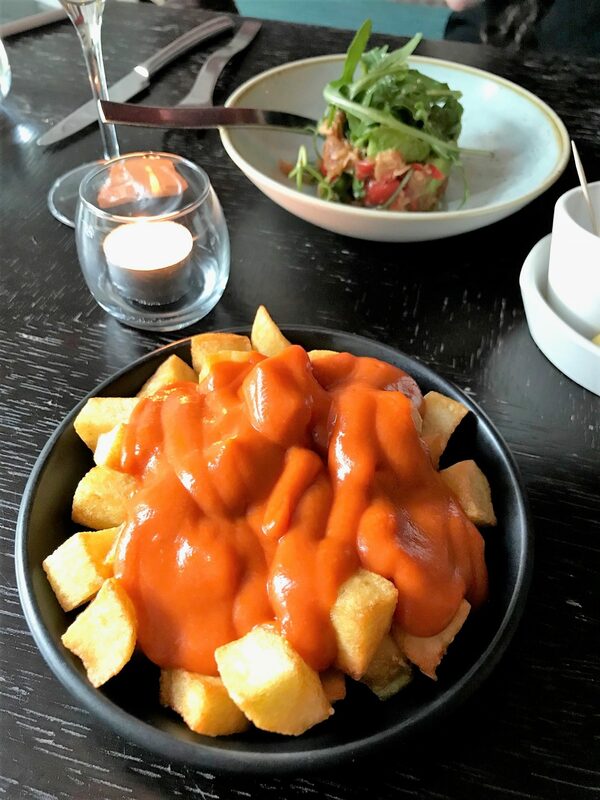 The Potatas Bravas come as a dish filled with diced potatoes topped with a spicy brava sauce & alioli. So when you dig your fork into the dish, you get the crispy on the outside, soft on the inside potatoes in a spicy sauce, with cream alioli bursting through. 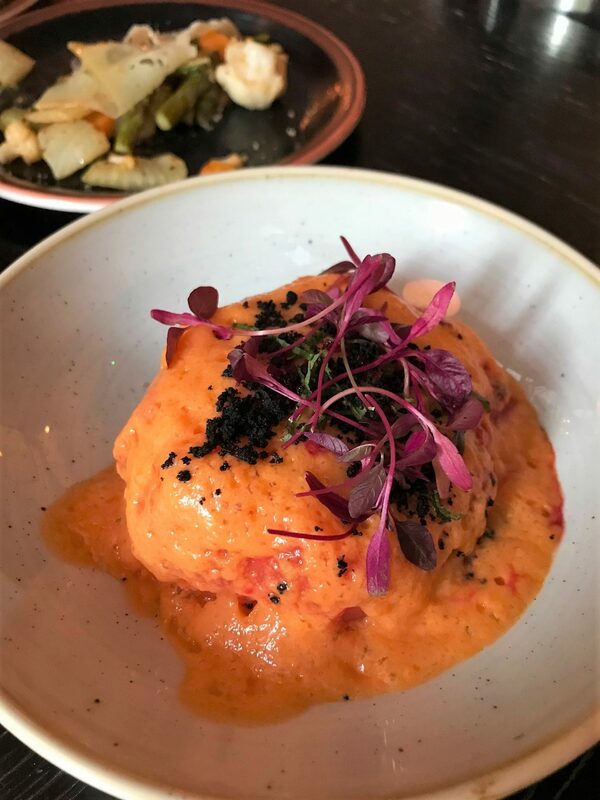 The alioli and spicy sauce complement each other and go really well together, giving the potatoes that balance of hot yet cool, and creamy yet spicy taste and texture. 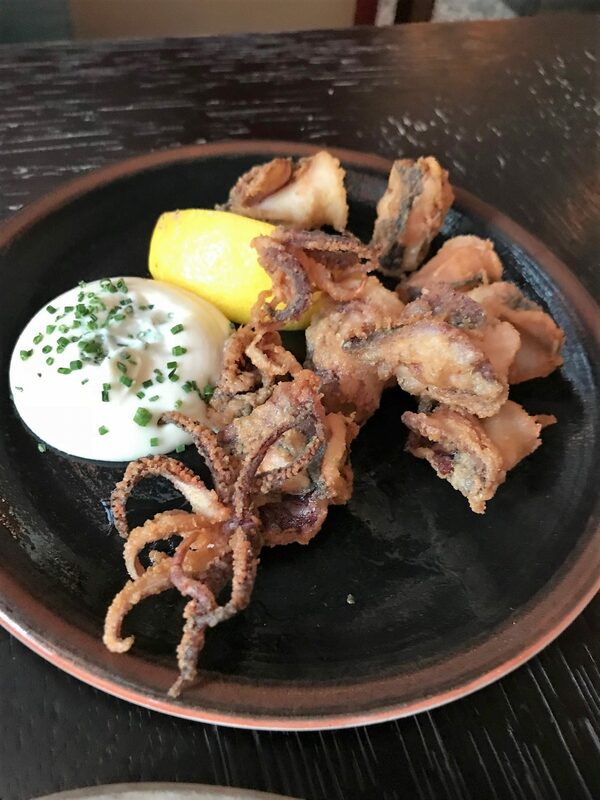 One of their popular dishes also from the Classic Tapas menu was the Calamares – fried baby squid with alioli. The portion was generous, and the squid was lovely and fresh tasting, coated in a breadcrumb finishing, full of flavour. The alioli side dip got a little bit addictive by this point! And then onto the sautéed seasonal vegetables, which came on a loaded dish topped with melted Idiazábal cheese. 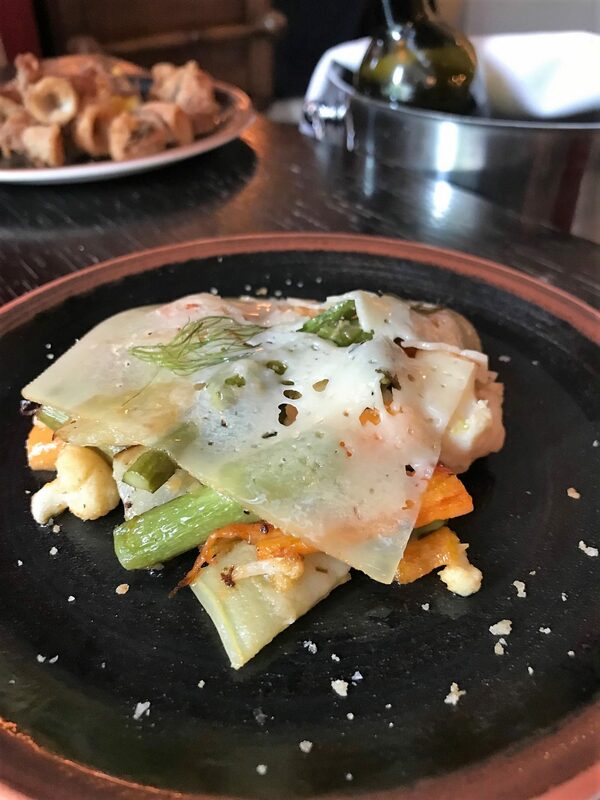 It’s nice to have a side tapas dish of veggies, and these were made up of mini cauliflowers, leeks and all sorts, oozing with a coating of melted sliced Spanish cheese. Another tapas dish which came top of my ‘charts’ so to speak was the Asparagus Toast, which is pretty much exactly what the name suggests. 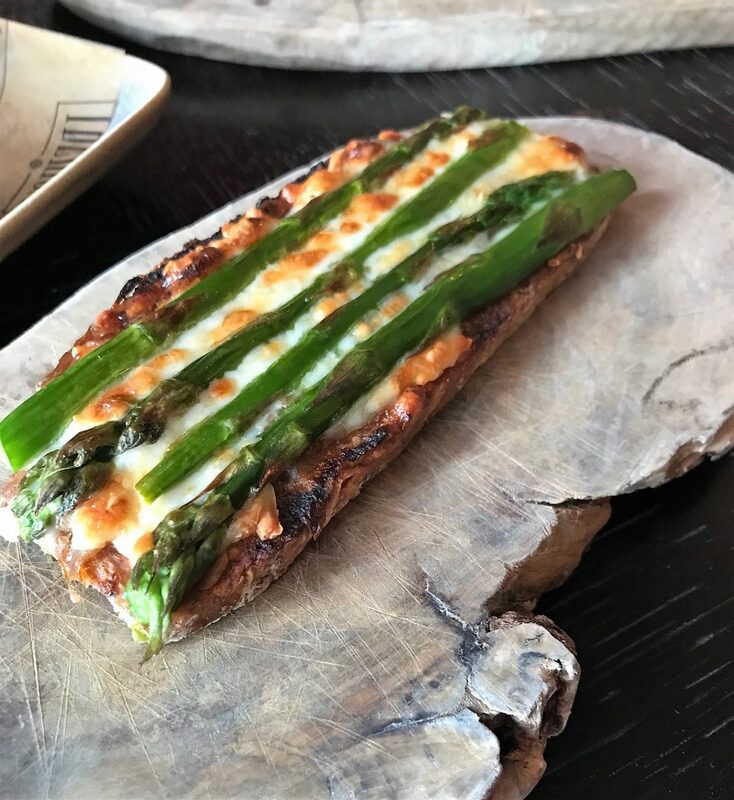 Layers of Asparagus lay on crispy toast topped with Manchego, onion confit & truffle oil. Mmmmm – pure indulgence and I love Asparagus! One from the Iberica Tapas menu came the Beef tomato & Salmorejo which comes with garlic breadcrumbs and beetroot granita. Not one I would usually order, as I wasn’t sure how exciting a beef tomato could be, but this was so much more filling than imagined. The beef tomato was massive, and loaded with a garlic crumb and topped with cheeses, herbs and spices, giving it lots of flavour. Such an interesting way to consume your tomatoes! OK, so another favourite of mine and another I was drooling over all day just thinking about it (I always scan a restaurants menu during the day before I check them out in the evening – anyone else do that?). 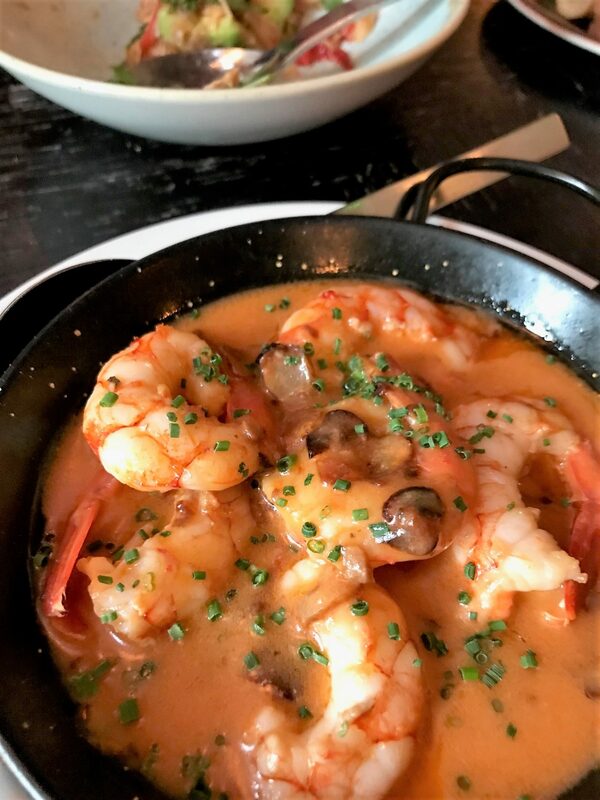 The Gambas are ordered from the Classic menu, and come as a dish of cooked prawns in a rich garlic sauce with a hint of cayenne pepper and a touch of creamy tomato. 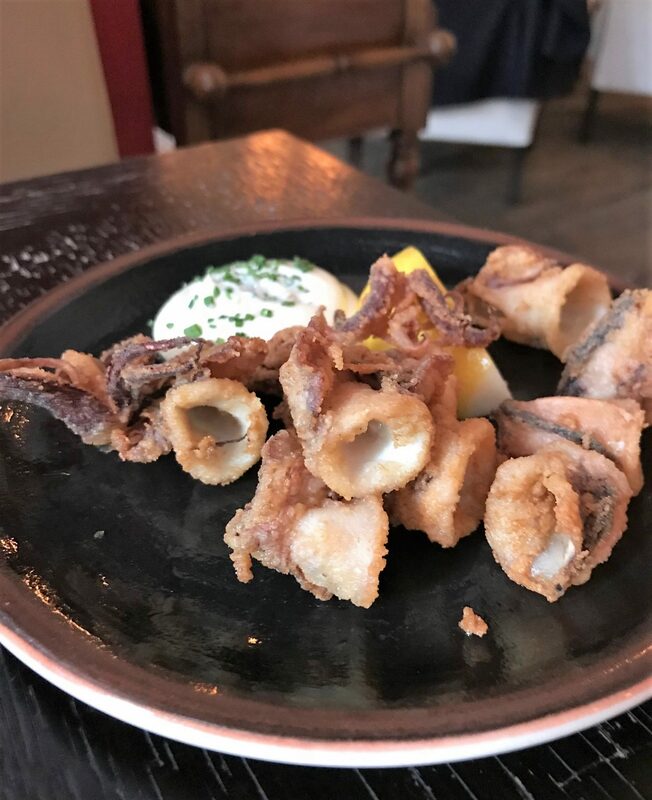 Seasoned beautifully, these had a nice little kick to them and in my opinion, are an essential tapas dish to order for those who enjoy seafood. So lets not forget desserts! 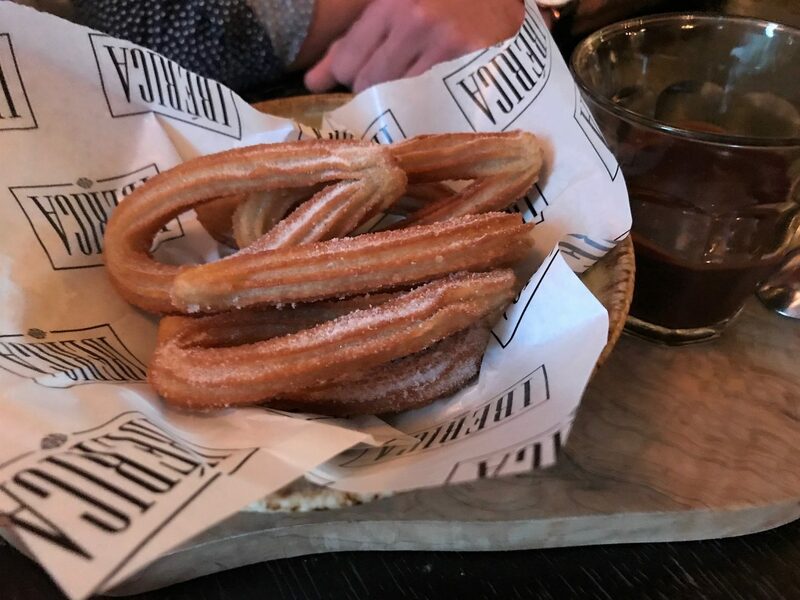 I wasn’t too sure what desserts to expect from a Spanish Tapas menu, but when I saw the list, I pleasantly surprised with the listings, and wanted to order a fair few at once to be honest (greedy I know, but I’m such a dessert lover). In the end I opted for the Spanish twist on the classic rice pudding, which was sweet and creamy with a unique texture and taste. 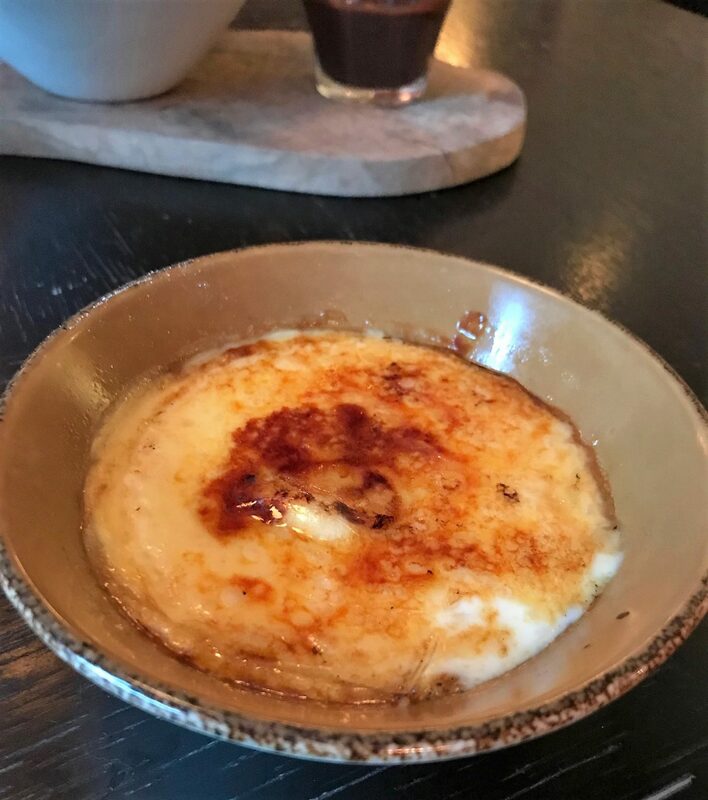 It had that taste of creme brulee and caramel on top, with a sweeter, creamier rice pudding taste underneath once you cracked your spoon to it’s indulgent middle. In terms of price, you’re looking at around £5.50 – £8.50 per tapas dish depending on what you order. Obviously, the meat and fish dishes are pricier, but you can get cheeses, veggies and bread dishes really affordable, where you could easily have 3 dishes for £15 if you had a good look on the menu. 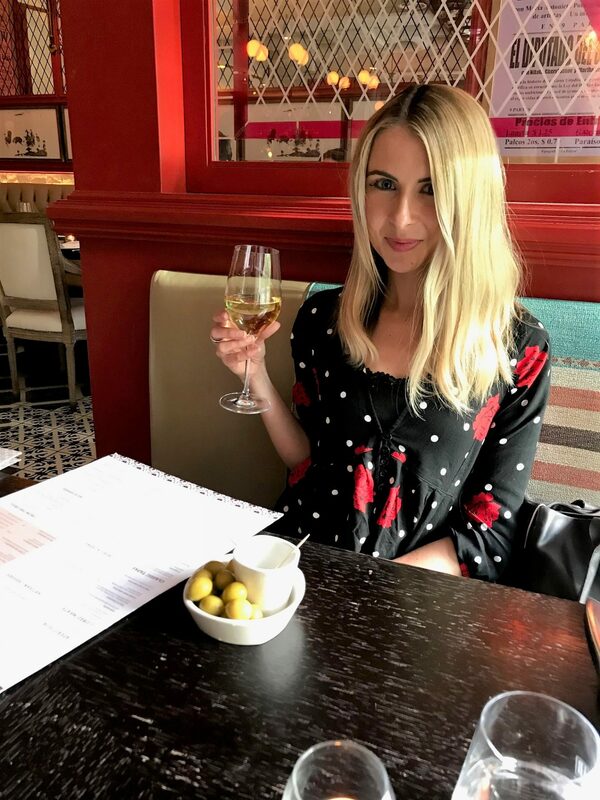 In my opinion – and as a huge tapas fan – the menu offers something for everyone, but more importantly, it makes a great sharing menu. 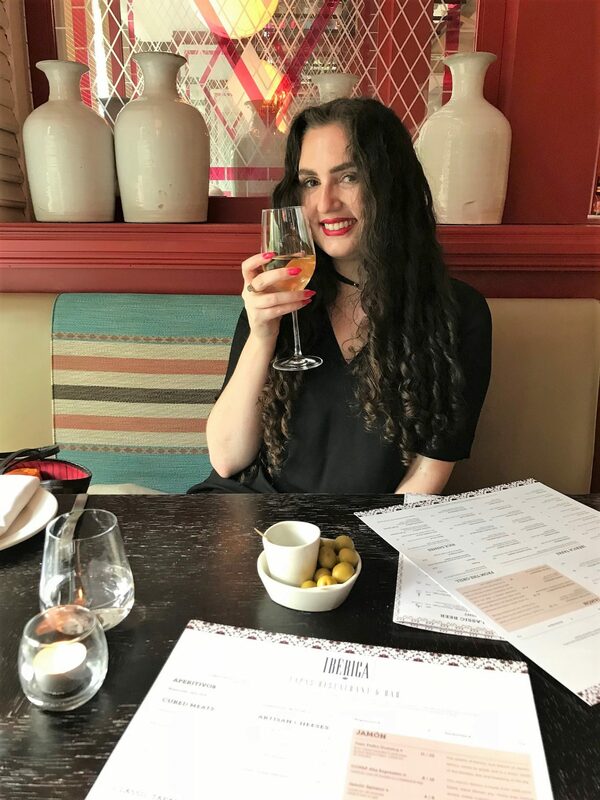 Myself and my guest had difference tastes, and she wasn’t the biggest fan of meats, but we could easily swap up a few with veggie options and then add in a couple of fresh meat dishes, and then add in the occasional seafood plate. 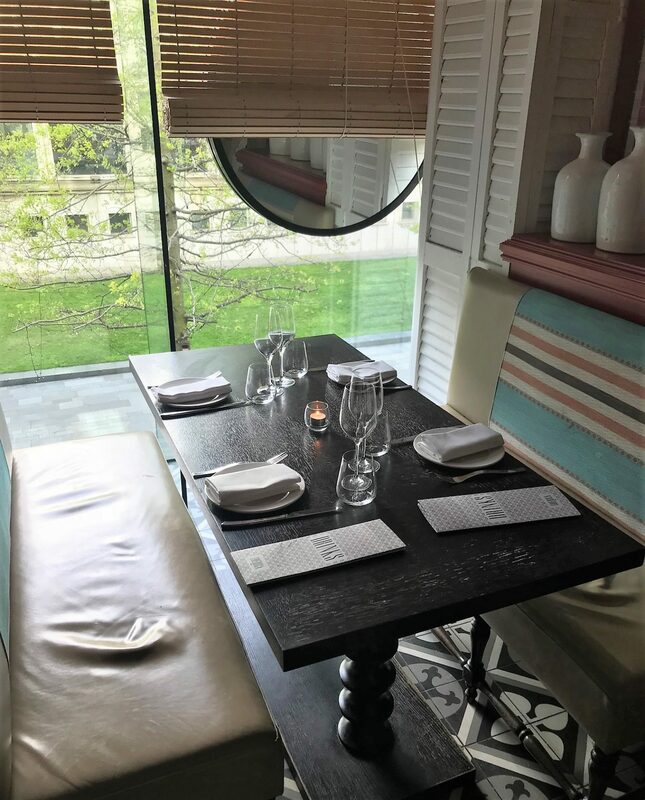 The atmosphere was warm and buzzing, the staff were incredibly helpful (literally talked us through everything and gave recommendations when we paused at the menu, or didn’t know what something was), and the food overall was absolutely delicious. 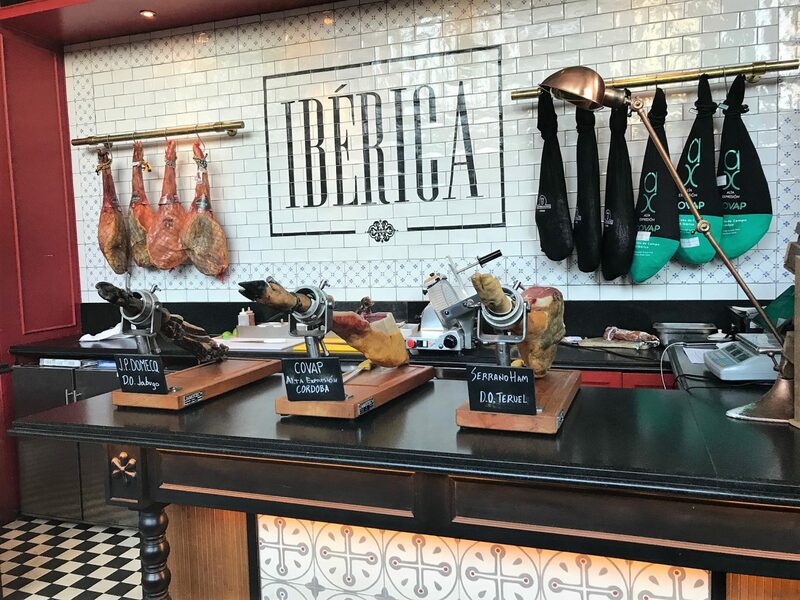 You can find Iberica at Spinningfields, just off Deansgate, Manchester.